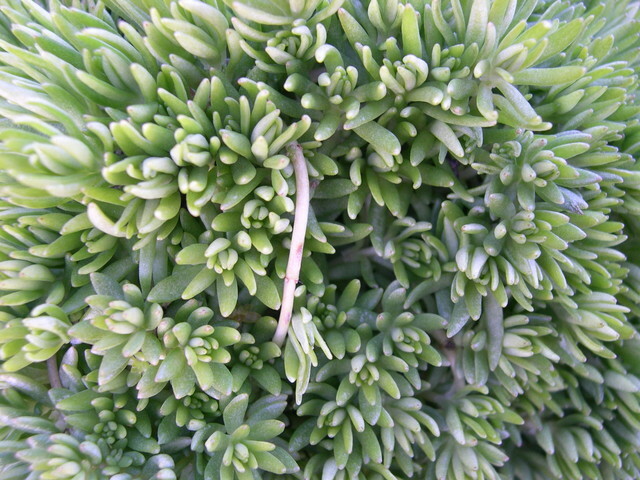 This is new form of Sedum sarmentosum with narrow light green leaves and yellow flowers. It is low, spreading and trailing. Will tolerate some shade. Can be used in hanging baskets or to trail over a retaining wall.